Live on FOX this Saturday night in Birmingham, Alabama, charismatic American heavyweight Deontay Wilder will make his fifth defense of the WBC championship belt against unbeaten Gerald Washington.The PBC card is stacked from top to bottom, but I am excited about the heavyweight clash between Dominic Breazeale (17-1, 15 KOss) and Izuagbe Ugonoh (17-0, 14 KOs). Even for a global sport like boxing, Izu, as he is known, has made a fascinating journey to reach this moment at the Legacy Arena. His parents emigrated from Nigeria to Poland, where Izu was born. After graduating from Jędrzej Śniadecki University School of Physical Education in Gdansk, Izu embarked on a successful kickboxing career, making the transition to boxing in 2010. 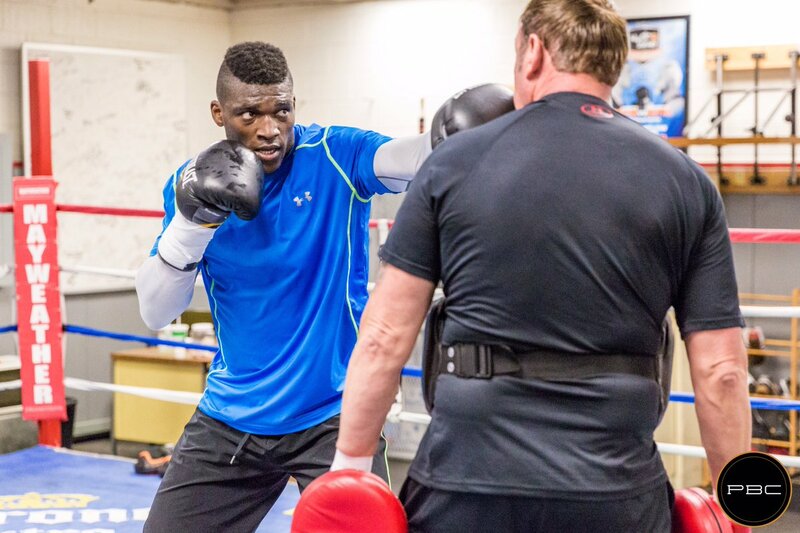 Ugonoh caught the eye of veteran trainer Kevin Barry in 2013, while sparring in Las Vegas withheavyweight prospect Joseph Parker of New Zealand. Parker captured his first world title in December of last year, and Barry hopes to bring Ugonoh along the same path. Boxinginsider.com caught up withKevinon Thursday, and hespoke about his relationship with this remarkable athletewho is about to lace up the gloves for the biggest fight of his career. Barry brought Ugonoh along carefully: “we had five fights down there [in New Zealand] in 2014, and then five fights in 2015.” Ugonoh’s pace slowed down last year with two bouts, a fourth round TKO of Ricardo Ramirez and a second round stoppage most recently of Gregory Tony.